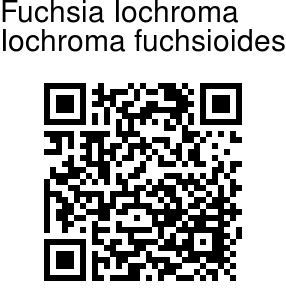 Fuchsia iochroma is a wonderful and rare plant which comes from the Andes mountains in Ecuador. It is generally cultivated as a shrub, 6-12 ft tall, but can grown into a tree under favorable conditions. 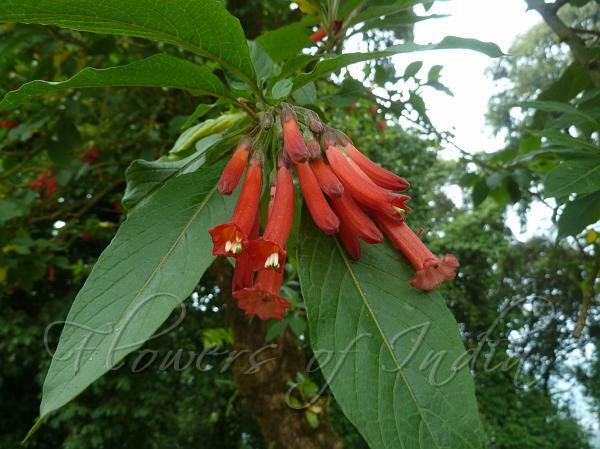 Leaves are narrow elliptic, and the flowers are red, tubular, about 2 inches long, growing in hanging bunches. They remind one of certain kinds of Fuchsia flowers. The dried and fresh leaves and flowers are smoked, infused as tea or boiled, and have narcotic properties. The plant is beautiful from every angle - and it blooms almost all year long. Identification credit: Susmita Basu Photographed in Darjeeling, West Bengal.